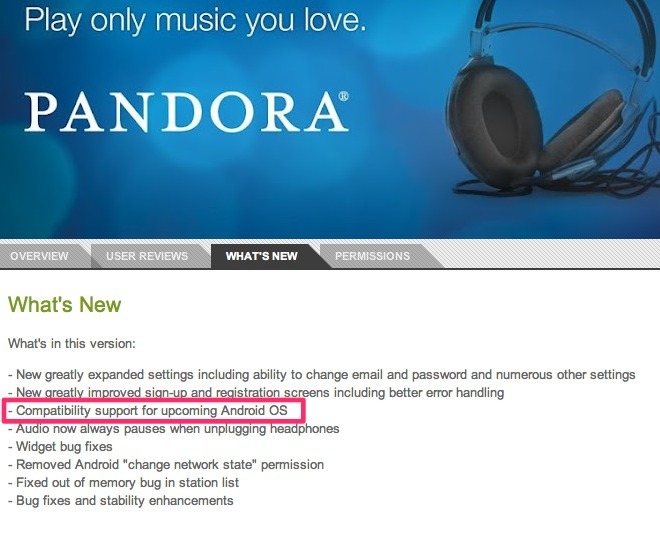 After today’s Pandora update, the app should now be compatible with an “upcoming Android OS.” What exactly do they mean by that? Great question. With talk of the Nexus 7 tablet launching at Google I/O at the end of June along with the newest version of Android aka Jelly Bean, there is at least one answer to consider. And if they don’t mean Jelly Bean, then what do they mean? Cheers Travis, Courtney and @ryan_cota!